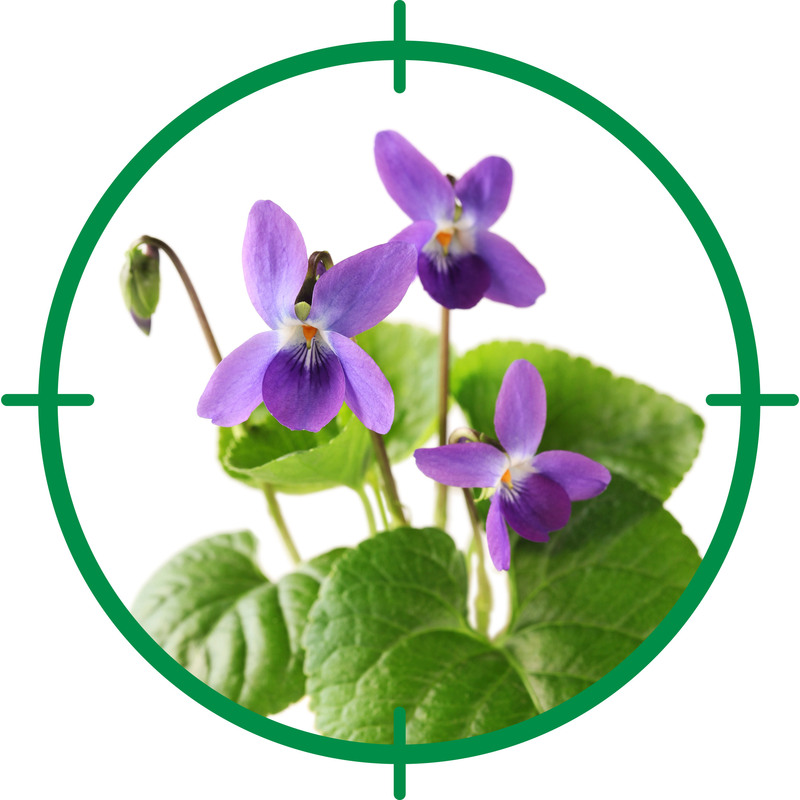 Wild violets are related to the well-behaved pansy, but unlike its gentle cousin, wild violets are aggressive little thugs. The flowers are pretty, but beware, they spread fast and they can be difficult to control when they get started in your lawn or flower bed. 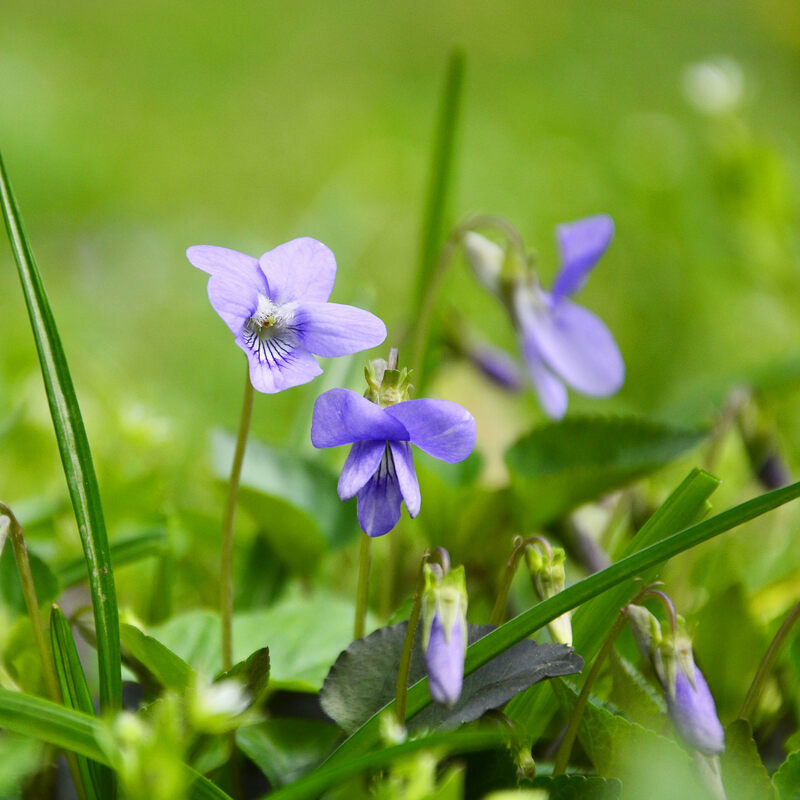 As the name suggests, wild violets are almost always purple, but they may be white, or even yellow. The little plants, which top out at about 4 to 6 inches () high. The heart-shaped or scalloped leaves are bright green. Wild violets reproduce by way of underground rhizomes, and they also spread by seed. 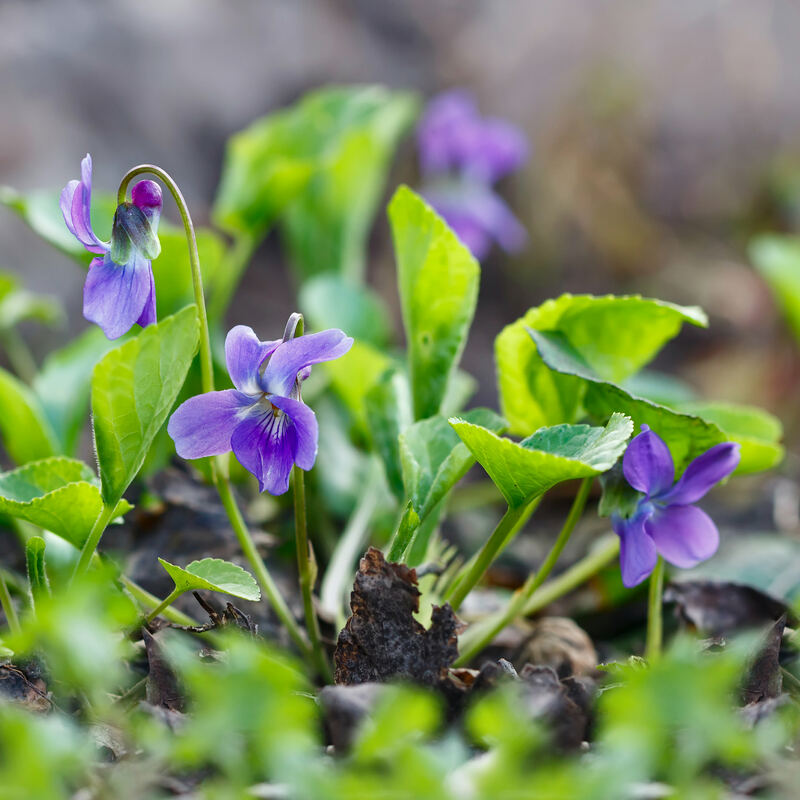 Although they’re native to central and eastern Canada and the United States, wild violets have established themselves nearly everywhere where conditions are moist and shady. You can dig small patches of wild violets, but even the tiniest pieces of rhizomes will re-grow. Check the area frequently and remove plants that pop up. If a heavy infestation has taken over your lawn, spray bad patches with a non-selective herbicide for broad-leaf weeds. Keep in mind that non-selective herbicides will kill any plant they touch, including lawn grass and ornamental plants, so use them accordingly. Use herbicides on a cool, still day late summer or fall when nutrients are traveling down the root system in preparation for winter. Spot-treat light infestations with a ready-to-use weed killer. Overseed bare areas in your lawn after removing wild violets. Otherwise, the weeds will quickly move back in.